In the world’s smallest country of Vatican City, is the world’s largest church, St. Peter’s Basilica. 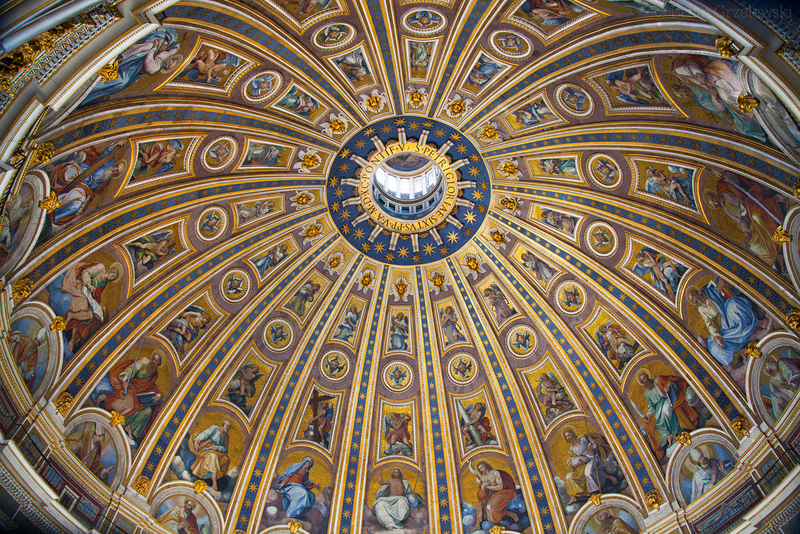 The dome (or cupola) at the top is as amazing as the rest of the church. You can go up to the top by climbing more than 500 stairs and get a great panoramic view of Rome. This is the view of the interior of the cupola.